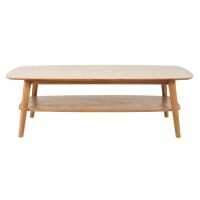 To complete your living room area, go for this solid French oak coffee table. 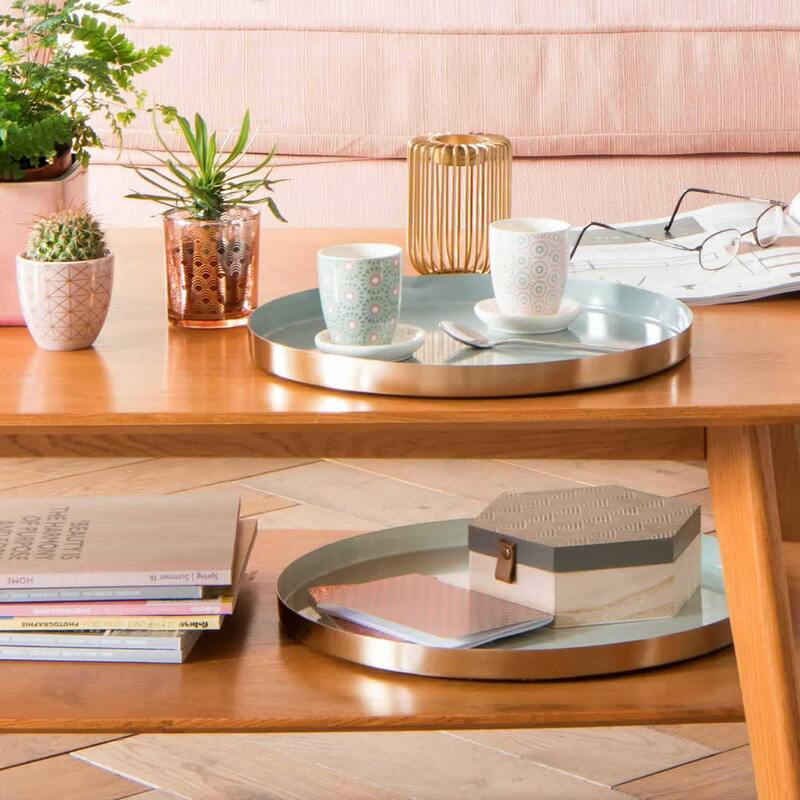 This handy coffee table has a second shelf for tidying all your magazines. 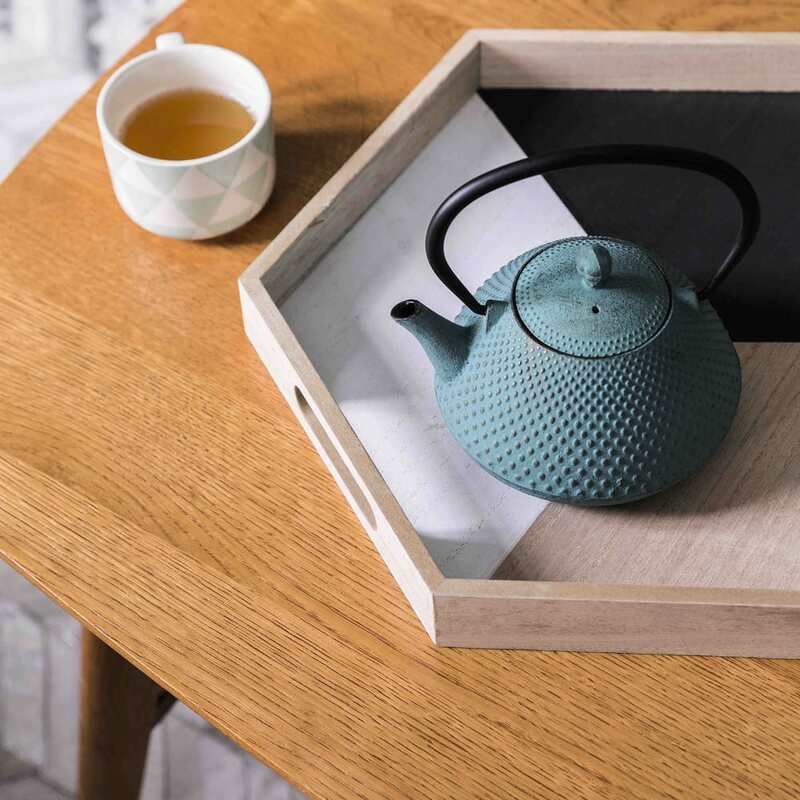 Design detail: its slightly splayed legs recalling the design from the 1950s. 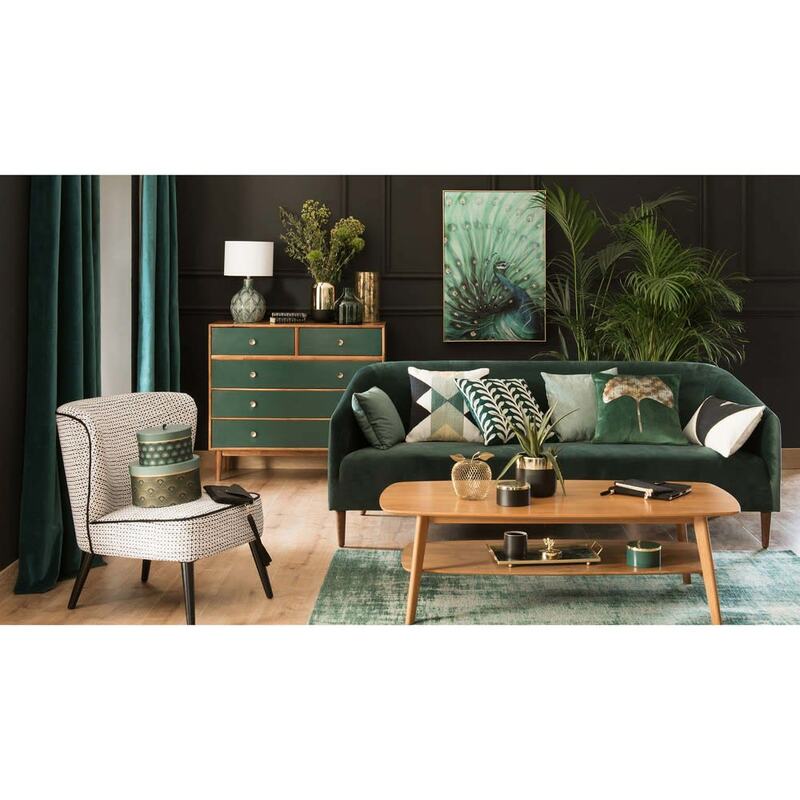 Our tip: arrange a few candles on its tabletop to create a hushed atmosphere in the evening. 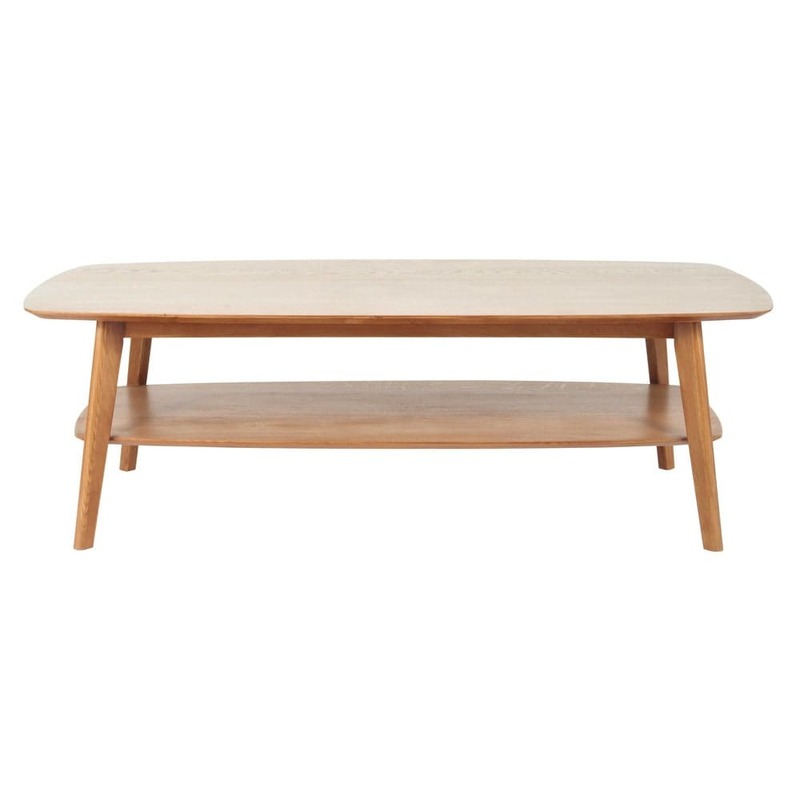 If you’re after a coffee table with storage, take a look at the Artic white coffee table.